So…sick of me talking about my birthday yet? And believe me, they’re not healthy but they are definitely treats. 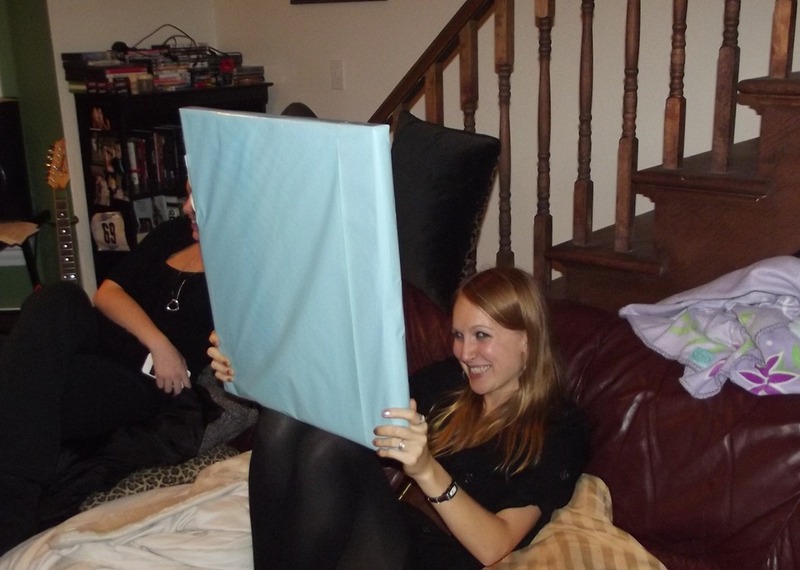 Thanks to Jenn, as always for hosting! Clearly, a special birthday breakfast was in order. And sprinkles had to be included. I mixed 1/4 cup greek yogurt, about 1/4 scoop protein powder, and a tablespoon of maple syrup to make a sweet sauce with a bit of added protein. 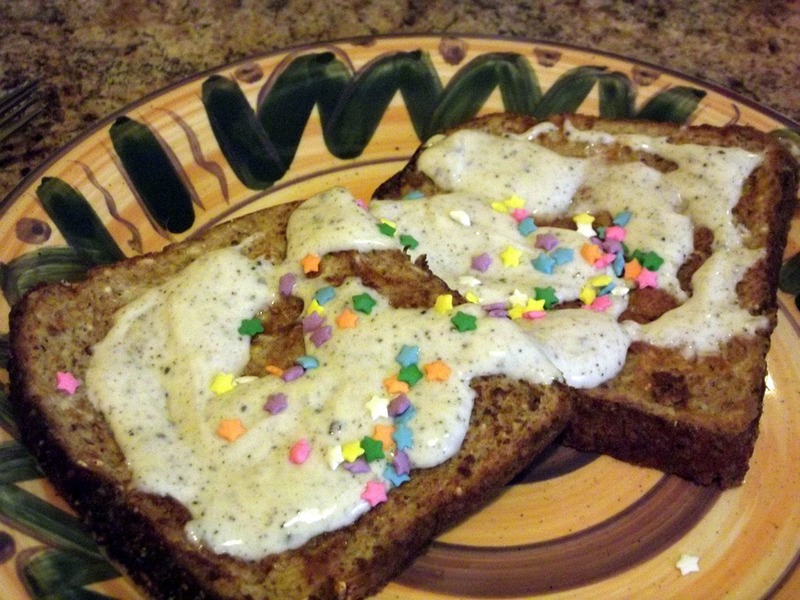 Topped with sprinkles, of course. Wednesday is an 11:30-2:30 class day, so lunch was taken to class and consumed on my break. 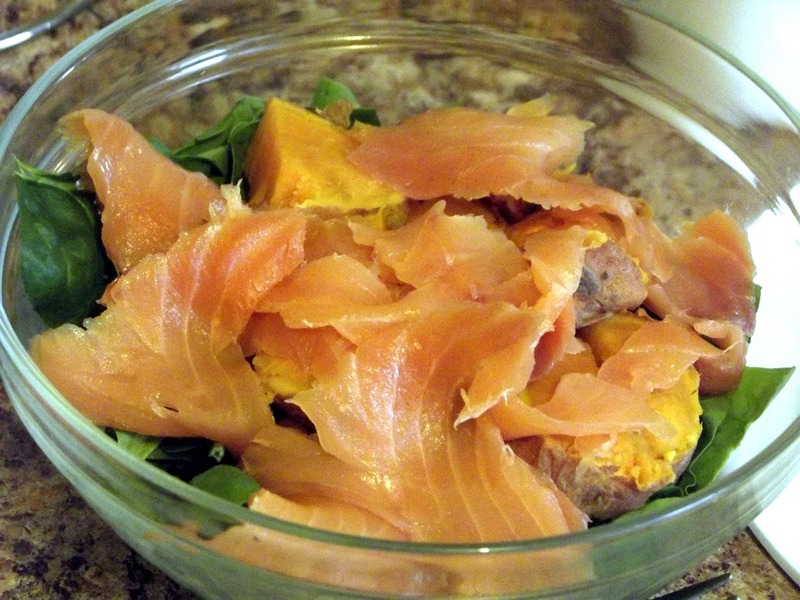 Spinach salad with sweet potato and smoked salmon. Smoked salmon and sweet potatoes = two of my favourite foods. Successful lunch. Wednesdays are gym days, so I headed there after class. The usual post workout smoothie. 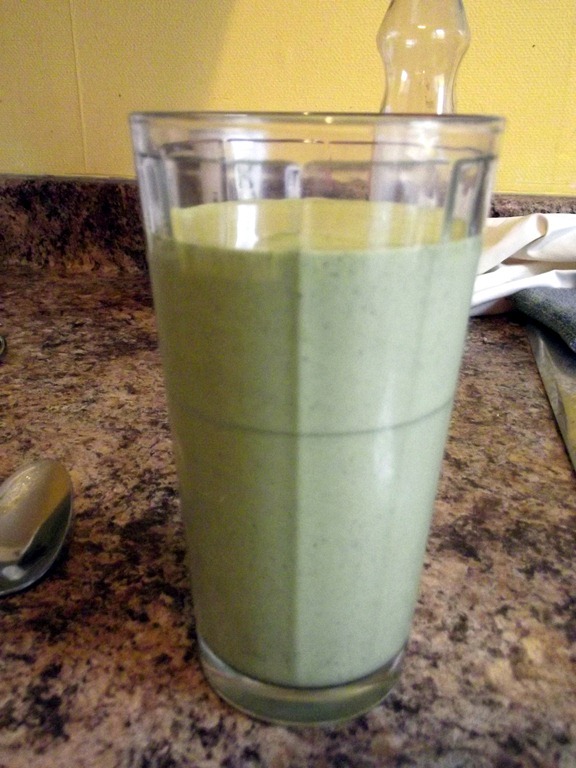 1/2 cup unsweetened vanilla almond milk, a frozen banana, 1 scoop protein powder and a handful of spinach. Never fails me! 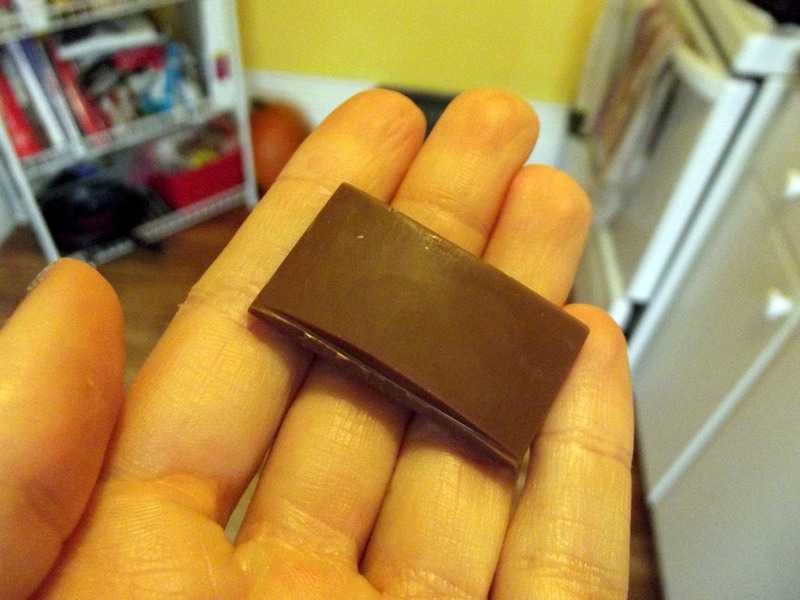 A piece of chocolate on the side, because it was my birthday. 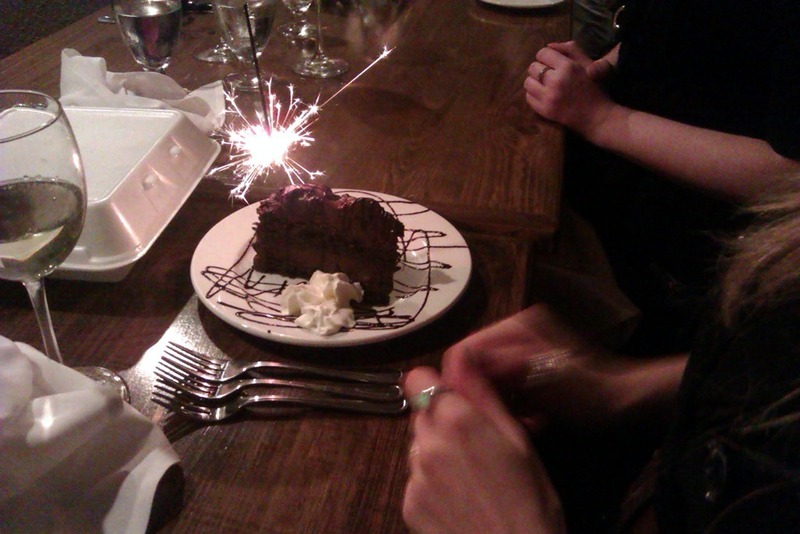 Of course, the most exciting part is birthday dinner. My parents, my brother, his girlfriend, and my best friend all came up from London so we could go out. We decided on Gus and Guido’s – a Greek/Italian restaurant in Brantford I had heard good things about. (you’ll have to forgive the poor quality of photos, I forgot my camera at home so I had to use Eric’s phone). Birthday wine = 100% necessary. I’m not sure what kind it was (my parents know wine better than I do so I let them order bottles for the table) but it was a light, fruity Pinot Grigio. More than one glass was consumed. A bread basket to start – some homemade fresh bread and pita (definitely covering both Italian and Greek, aren’t they?). They came with three spreads: one caviar spread, oil/balsamic vinegar, and a potato spread. Bread with the caviar spread. I’ve never actually had caviar so I don’t know how close this was to tasting like it, but to me it tasted kinda like smoked salmon. No complaints there. 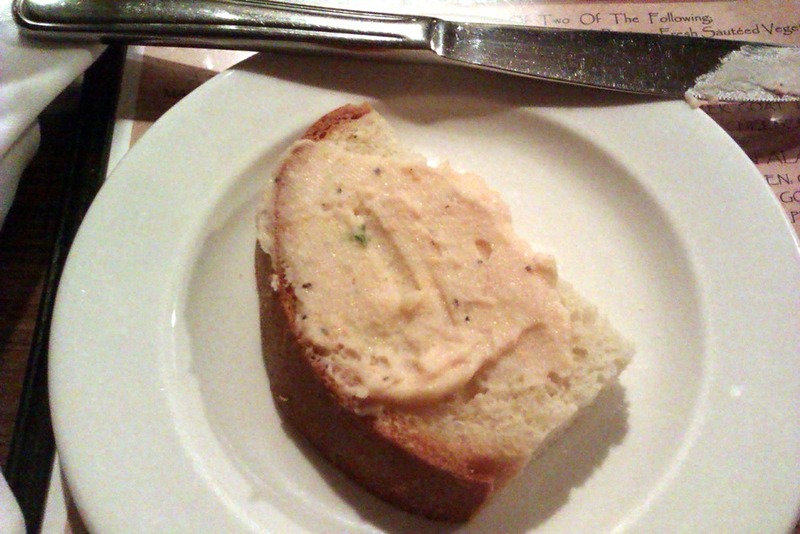 Bread with the potato spread. 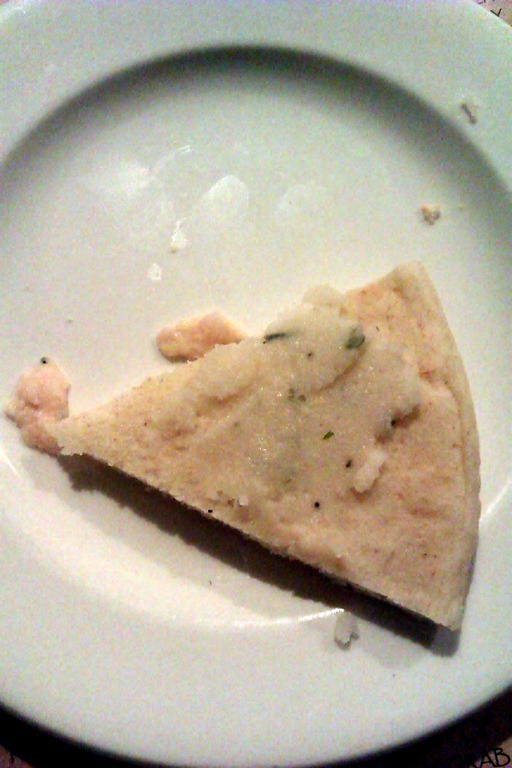 It was literally like spreading bread with garlic mashed potatoes – a little odd, but tasty nonetheless. 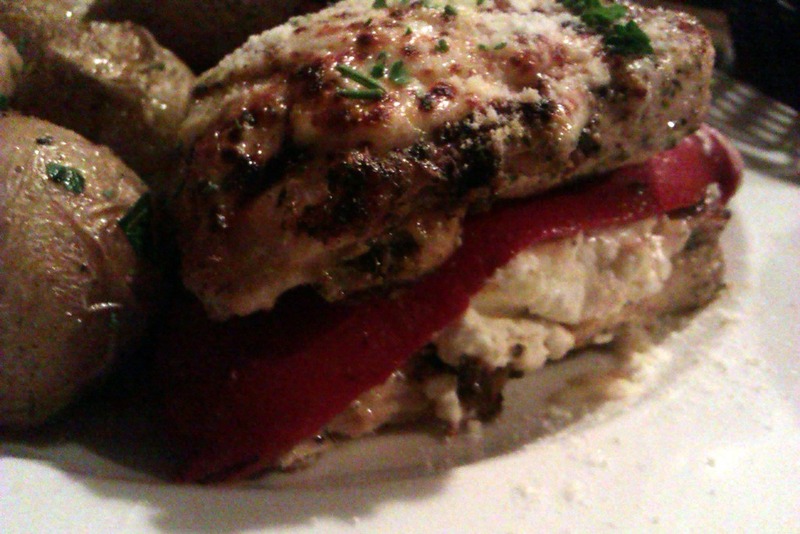 For dinner, I ordered the Stuffed Chicken a la Greco – chicken stuffed with roasted red pepper, zucchini and goat cheese. Unfortunately we ran into some service issues here. Everyone had been served except me – It took them about an extra 10-15 minutes to bring me my dinner. Slightly frustrating, because everyone was more than halfway done by the time I got my meal. Well, I don’t know if it was worth that long of a wait, but it was definitely tasty. 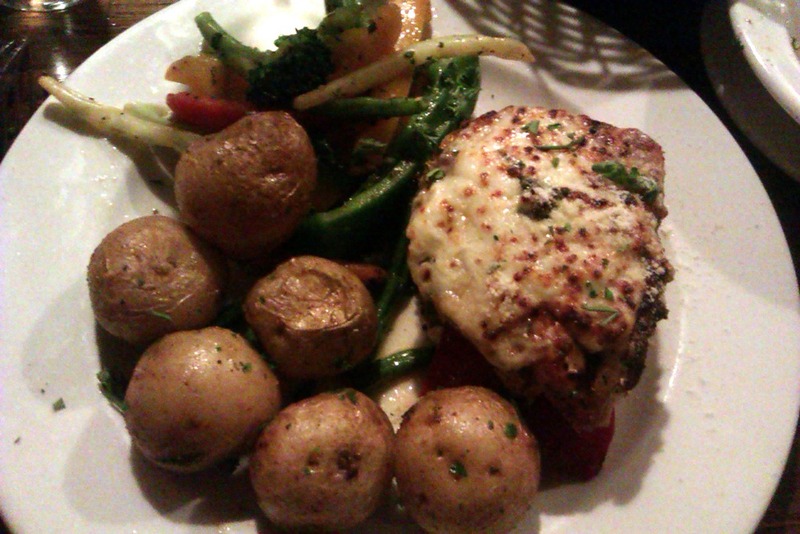 The chicken was jam packed with fillings, and the potatoes and veggies on the side were delicious as well. So much goat cheese – just the way I like it. As I was finishing up, I suddenly found myself with two shots next to me. 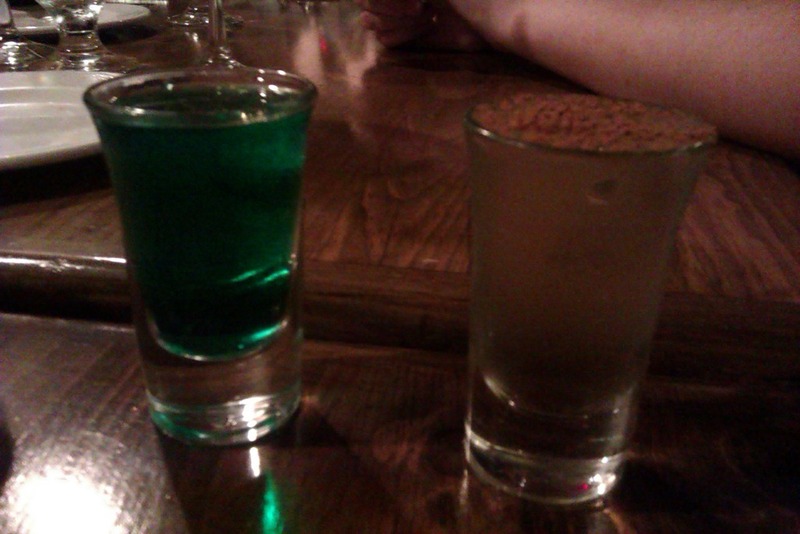 Shot number 1 down: this one was a Polar Bear – Crème de menthe and Crème de cacao. One of my favourites from my early bar days. 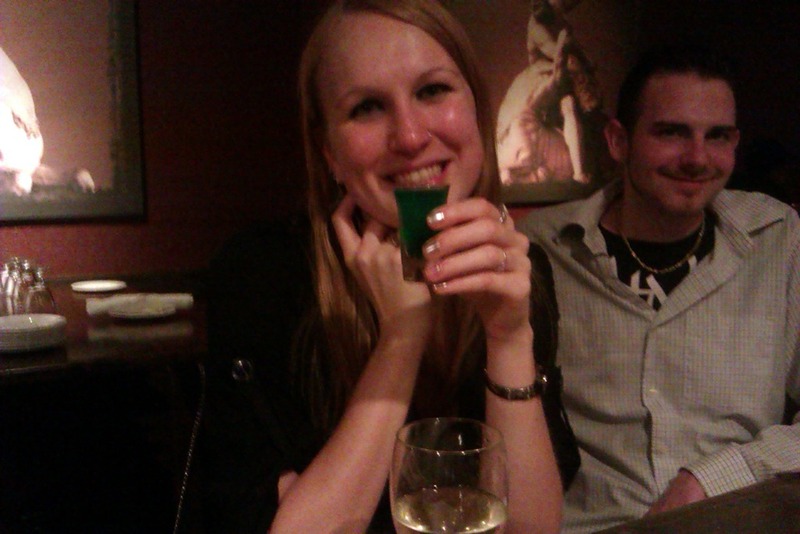 Apple pie shot – I had no idea what was in it at the time, but it definitely tasted like it’s namesake! Apparently it’s apple juice, vodka and cinnamon. Good, but at the time all the cinnamon on top went up between my teeth and my top lip – kinda awkward. 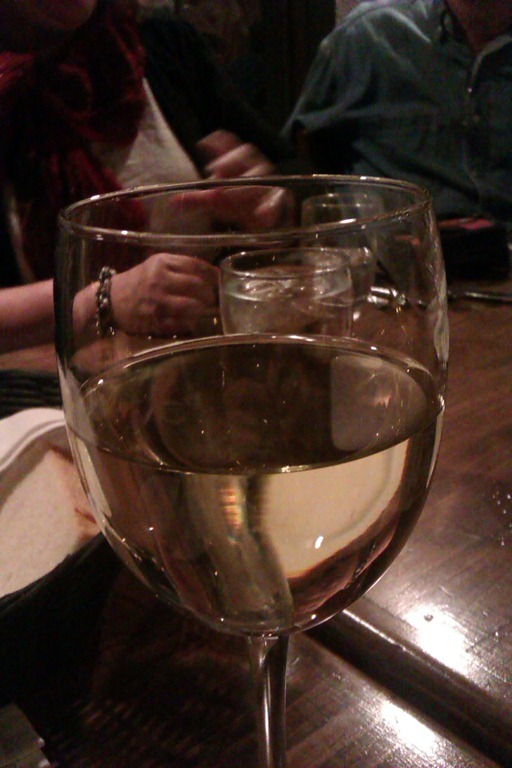 (between the wine and the shots, it’s definitely a good thing I was NOT driving home). Six-layer chocolate cake – very rich and incredibly chocolate-y…just the way I like it! I had a few bites and sent it around the table. Even though we had some issues, it was definitely a great dinner. 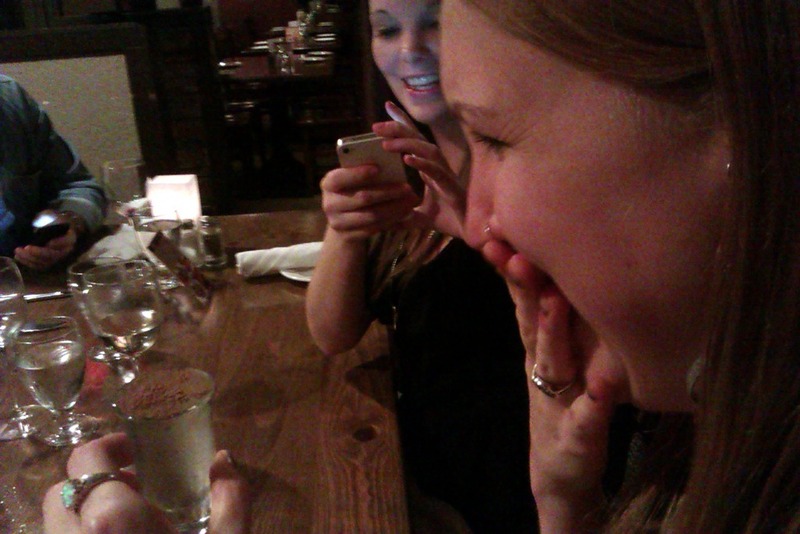 Due to my wait time, the restaurant comped my meal, one of the shots, and the dessert – thanks Gus and Guido’s! I’ll definitely be back in the future. Back home for presents and cake! My mom had been telling me for weeks that she had an amazing cake for me, but wouldn’t give me any sort of clue as to what it was. 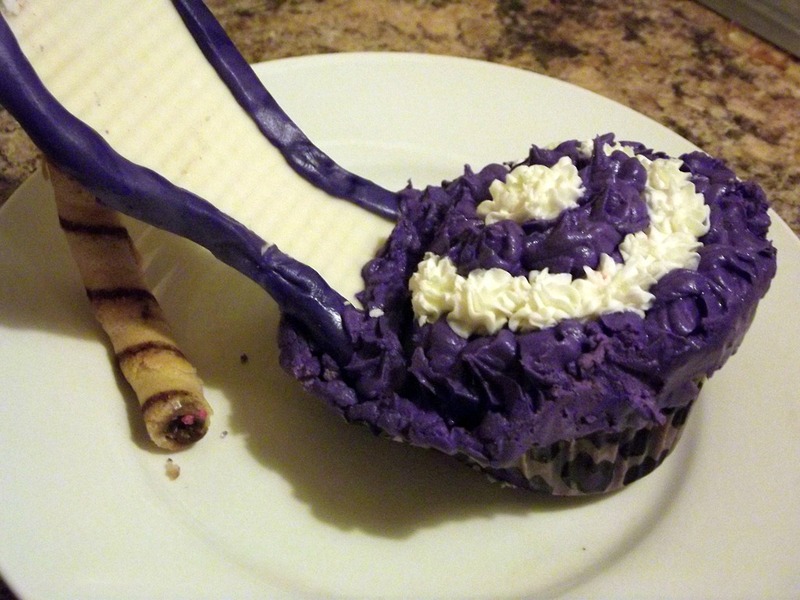 Oh my goodness…they were shoe cupcakes. One thing you should know about me: I am a huge shoe person. I pride myself on my shoes and it’s my goal to have a shoe closet one day. So it was ridiculous how perfect these were. They were half chocolate, half red velvet – aka, my two favourite flavours. 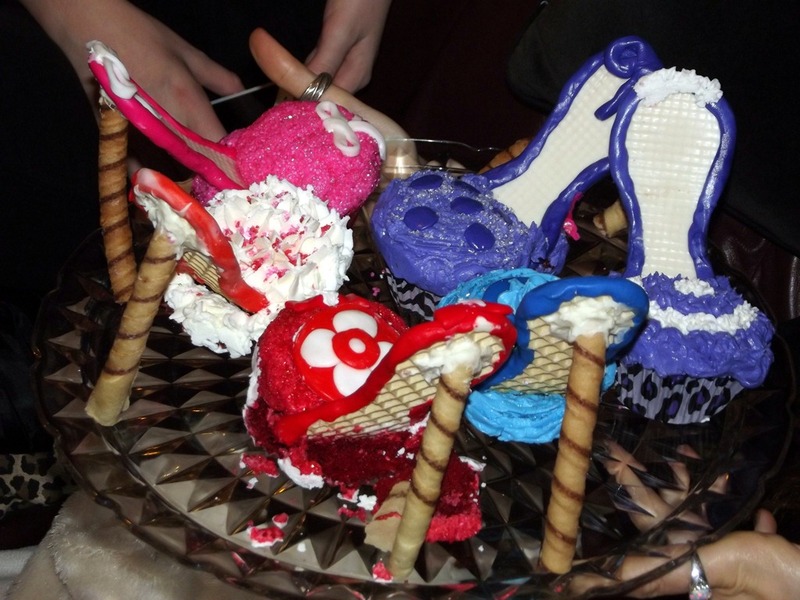 The “heel” was one of those long, chocolate filled wafer cookies and the “shoe” was a wafer covered in icing. One of my mom’s friends at work made them – thanks Judy! They were delicious! I had about 3/4 of this one (chocolate) and went back for about 3/4 of a red velvet one. Too die for – super thick, sugary icing and super moist (yes, I know that word is dreaded but it works in this case) cake. Amazing! All in all, a pretty fabulous birthday! Now, I’ve got Halloween and a bowl of Reese’s Peanut Butter Cups in my kitchen…I’m thinking there’ll be some more sweet eats today. <— Are you a shoe person? <— When you were a kid, were you more excited about the mini chocolate bars or little packs of candy? Did you have a system/order in which you ate them? I ate the chocolate first, then candy, then the flavoured chips. I would usually throw out/trade the suckers and the plain chips – they were no fun. Categories: Brantford, Breakfast, Dessert, Dinner, Family, Lunch, Nights on the Town, Recap, Restaurants, Snacks, WIAW | Tags: birthday, brantford, bread, Breakfast, chocolate, chocolate cake, cute birthday cake, dessert, dinner, family, french toast, green smoothie, Gus and Guido's, Halloween, lunch, post workout smoothie, red velvet, restaurant, salad, shoe cupcakes, shots, smoked salmon, sprinkles, stuffed chicken, WIAW, wine | Permalink. 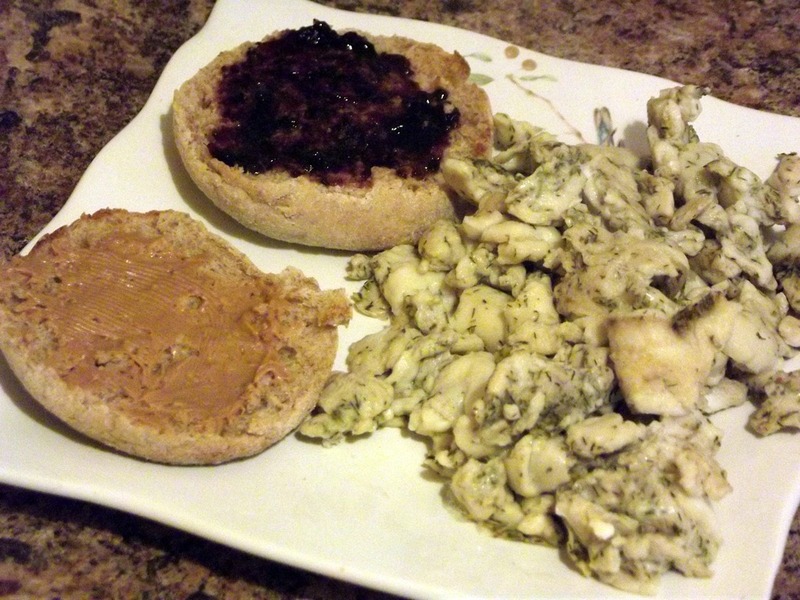 One egg + egg whites (about 1/3 cup) + an english muffin with wildberry jam and peanut butter. Still not particularly creative, but it counts as shaking things up, right? Wow, those are some green eggs. I went to add a dash of dill while the eggs were cooking, but I accidently opened the wrong side and dumped a whole bunch on top. This is why I shouldn’t be allowed to cook before 8 am. So with Sandy bearing down on all of us yesterday (I hope everyone managed to stay safe!) I knew that a homey, warm, comforting meal was in order. Something that the boyfriend and I could hunker down with in our apartment and eat while we caught up on The Walking Dead and Dexter. (My favourite shows involve serial killers and zombies. Yup, I’m an odd one). I had noticed shrimp and crabmeat on sale at the grocery store on Sunday, so I wanted to work with those. 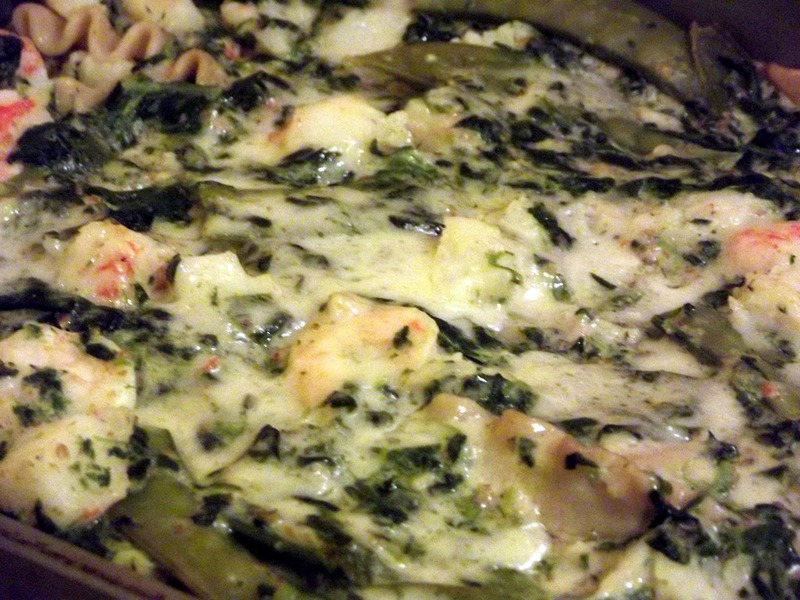 When I think of comforting, I also think cheesy, buttery sauce…so I went with a seafood lasagna with white sauce. 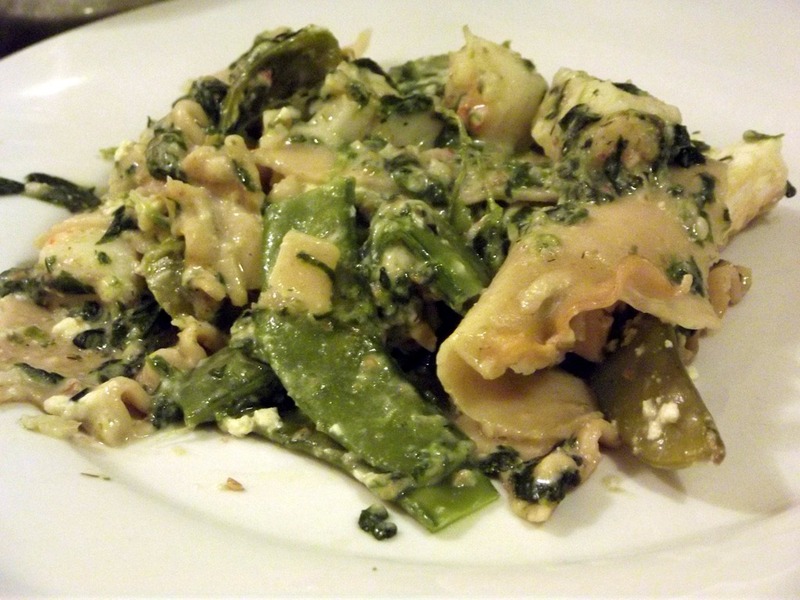 I used whole wheat lasagna noodles, ricotta cheese, and added snap peas and spinach to keep the nutrition level high. The result? 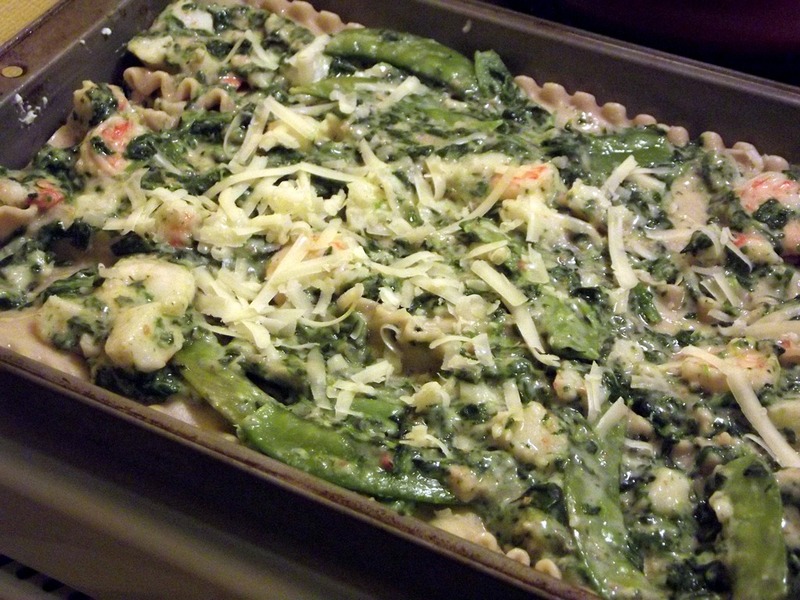 A delicious, homey pasta dish that the boy literally raved about for hours – he’s super excited for leftovers all week. 1. Place lasagna noodles in boiling water and cook until al dente. Drain and rinse in cold water – set aside. Mix ricotta, egg and parmesan cheese in a medium bowl and et aside. 2. Put spinach and snap peas in microwave safe dish with a bit of water. Microwave for about 3 minutes, drain and set aside. 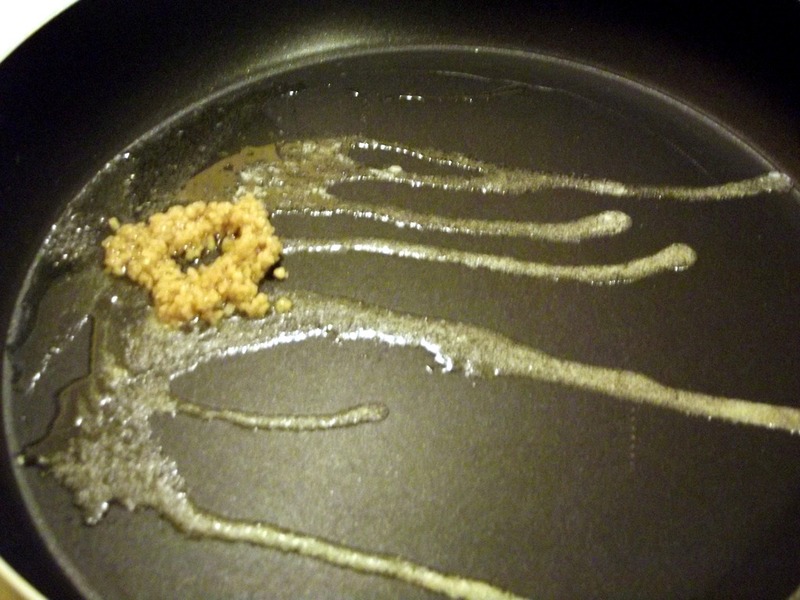 Melt butter in pan on medium low. Add garlic and cook for one minute. 3. 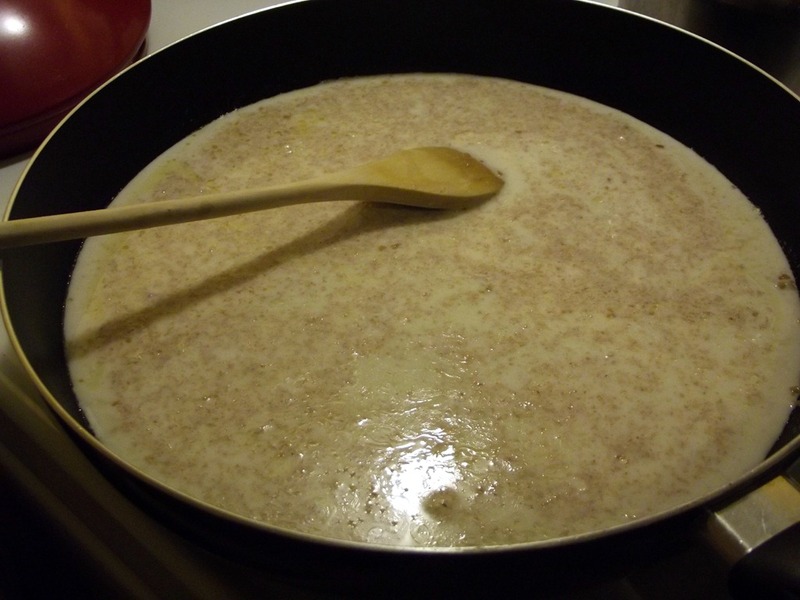 Mix milks in medium bowl. 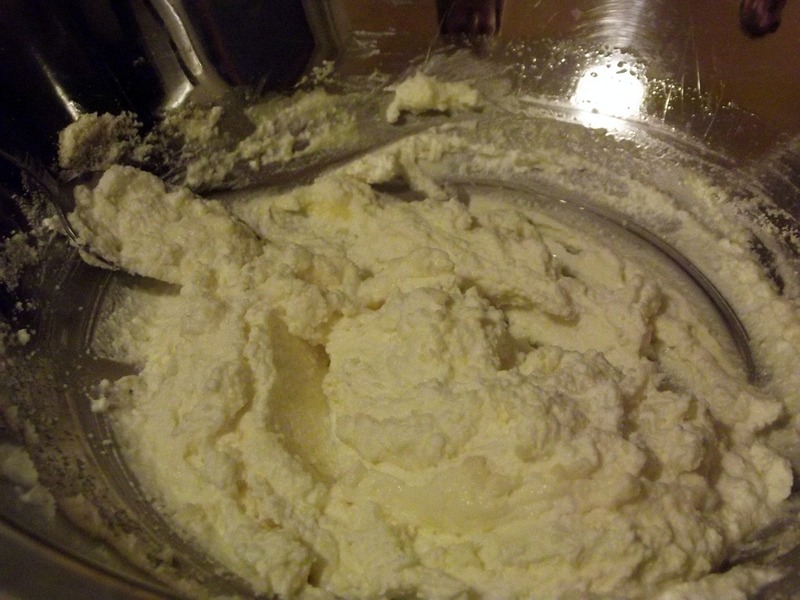 Add flour and stir to combine. Add to butter/garlic mixture and whisk in. Cook until thickened and bubbling, about 5 minutes. 4. Add chicken bouillon cube, salt, pepper and dill. Stir to combine. 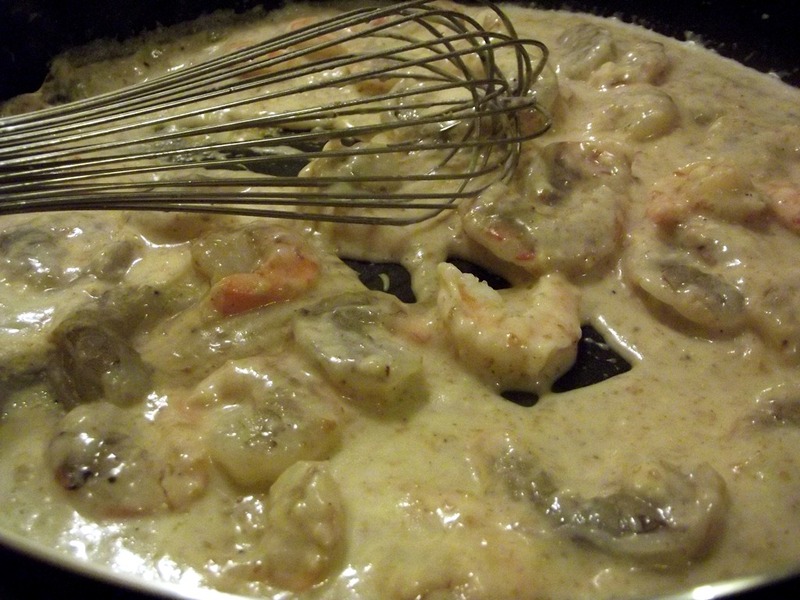 Add shrimp and cook until pink, about 5 minutes. 5. 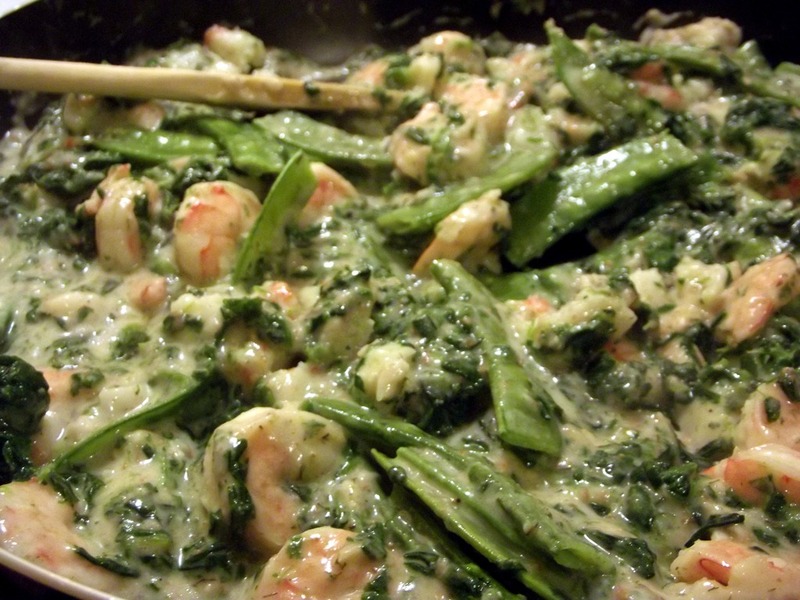 When shrimp is cooked through, add peas, spinach, crab meat and 1/4 cup cheese. 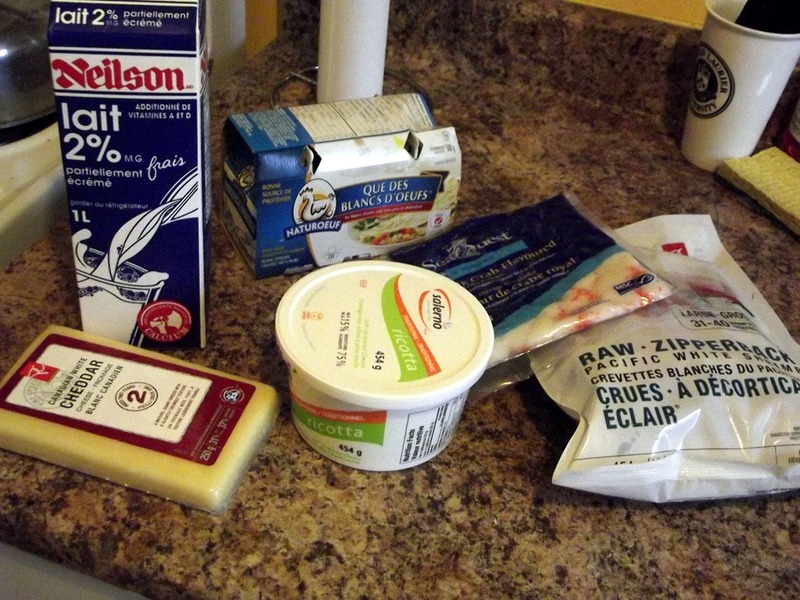 Cook until cheese is completely melted. Remove from heat. 6. Layering time! Spray a 13 x 9 pan with cooking spray. Place 3 noodles on the bottom layer. 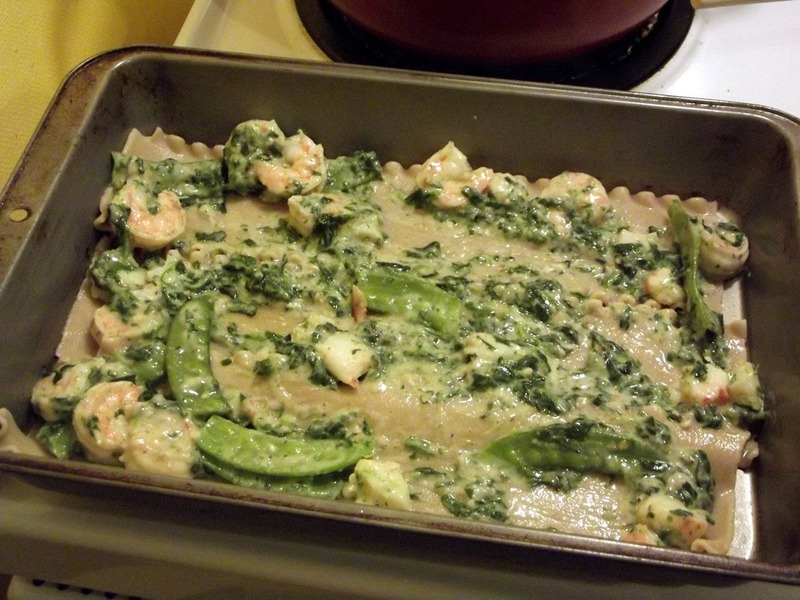 Add 1/3 of the seafood/veggie sauce. 7. Add another layer of noodles, then layer the ricotta mixture. Cover with another 1/3 sauce. 8. Add the final layer of noodles, and then the final layer of sauce. 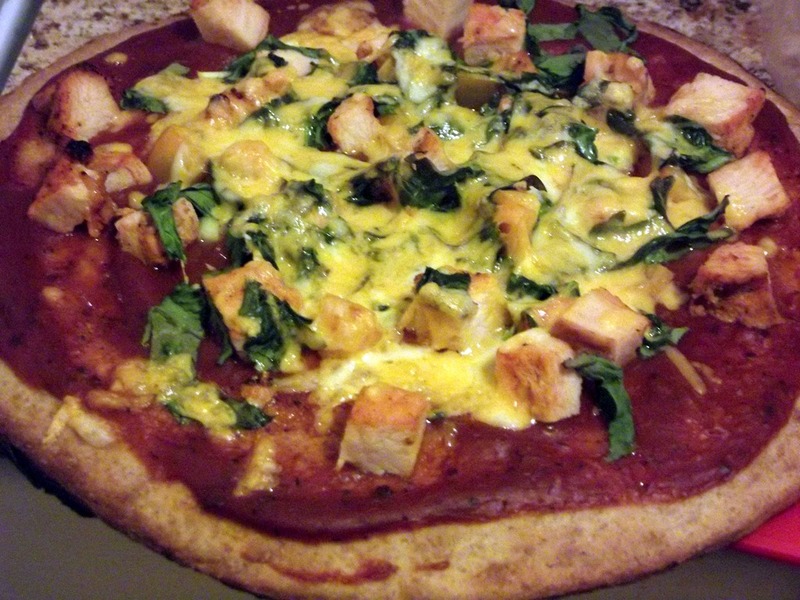 Top with 1/4 cup shredded cheese. 9. Cover with tinfoil and place in oven for 35 minutes at 350 degrees. Cook for 35 minutes. Remove and let stand for at least 5 minutes. Umm, how freakin’ delicious does that look?! Easily one of the best meals I’ve made in a long time. Eric and I could not stop mmm-ing through dinner! So, so good. The most exciting part? A lasagna that makes 8 servings + 2 of us = lots of leftovers. I will definitely be contributing to this campaign, and I hope you do too! So what’s my first “secret”? Sloane actually mentions it on the video – I didn’t contribute it, but I completely agree with it. It might make me a bad healthy living blogger, but it’s the truth. Make sure you click over andcheck out the campaign, mmk? 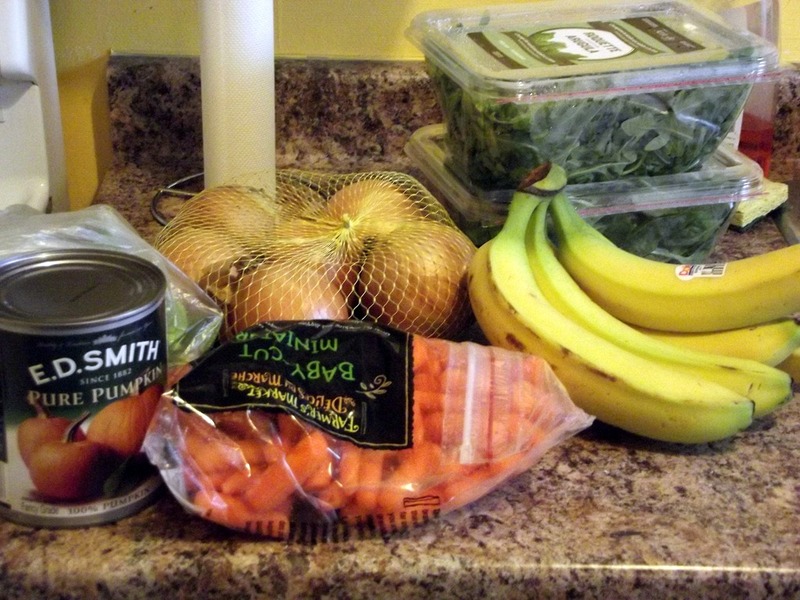 <— For my photography lovers: how do you deal with nighttime food photography? I cannot for the life of me make my meals look pretty lately. How do you work around the lighting issue? <— Give me a healthy food that you don’t like. I can also add eggplant to that list – unpleasant. 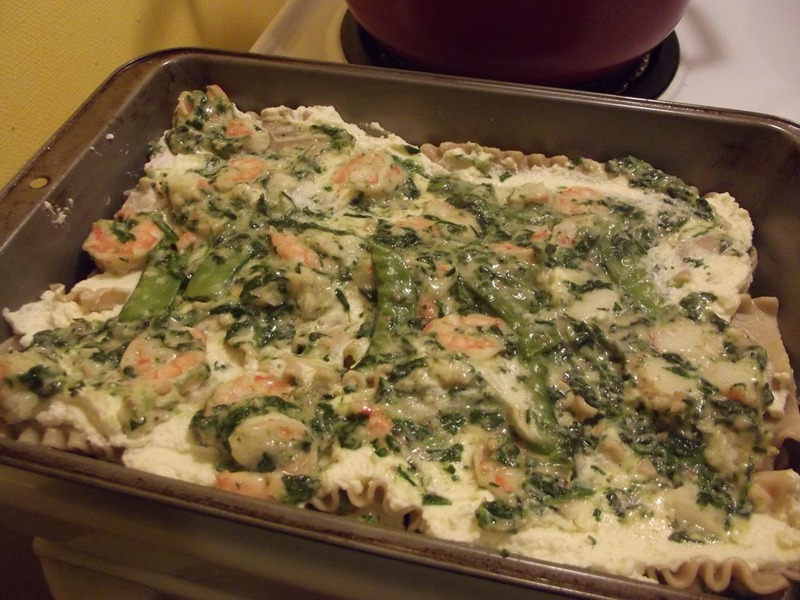 Categories: About Me, Breakfast, Dinner, Eating Disorder, Food Philosophies, Recipe, Recovery | Tags: bad-weather seafood lasagna, Breakfast, comforting, dill, eggs, food photography, Freedom From Perfection, hating kale, hearty, kale, recipe, seafood lasagna, strength in freedom | Permalink. Although, I highly recommend adding maple extract. Seriously the best thing to happen to pumpkin. 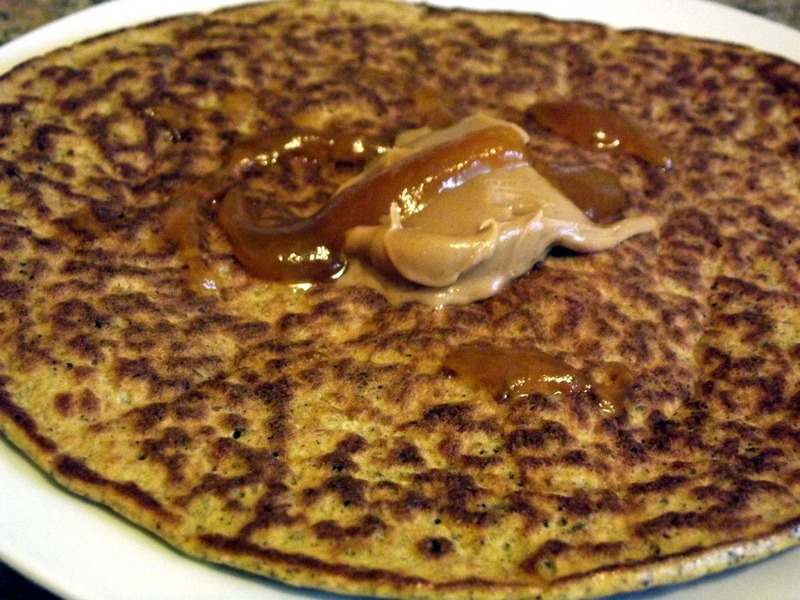 Yup, still going on my pumpkin protein pancake kick. At least 5 mornings a week. I should probably change it up, but I figure if I’m still enjoying it, why not? 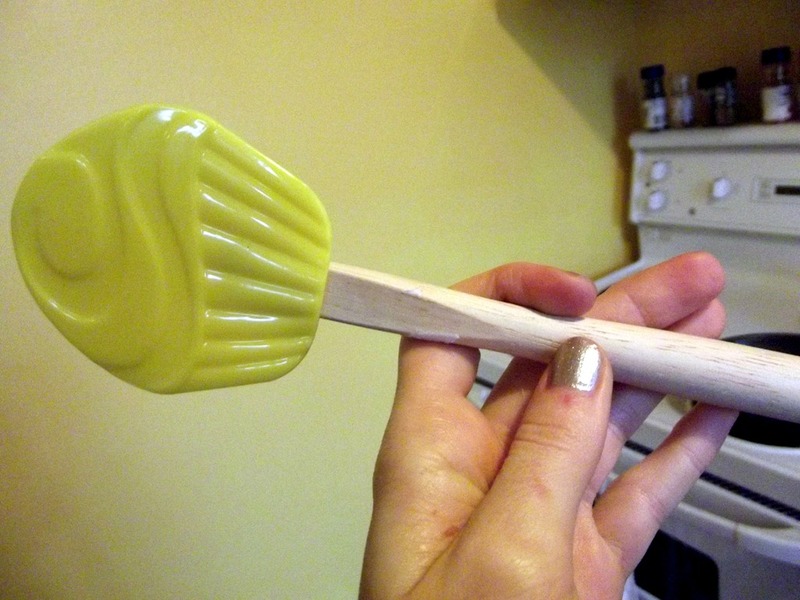 Side note: I am in love with this spatula. Look at how freakin’ cute that is. Seriously obsessed. I normally reserve Saturdays as my grocery shopping day, but this past Saturday I was feeling a little too under the weather to go. So Sunday shopping it was. It meant I wasn’t able to get to the Farmers Market (only open Fridays and Saturdays) but I was able to make do. This haul took me to Zehr’s, WalMart and Bulk Barn. Good week of meals! 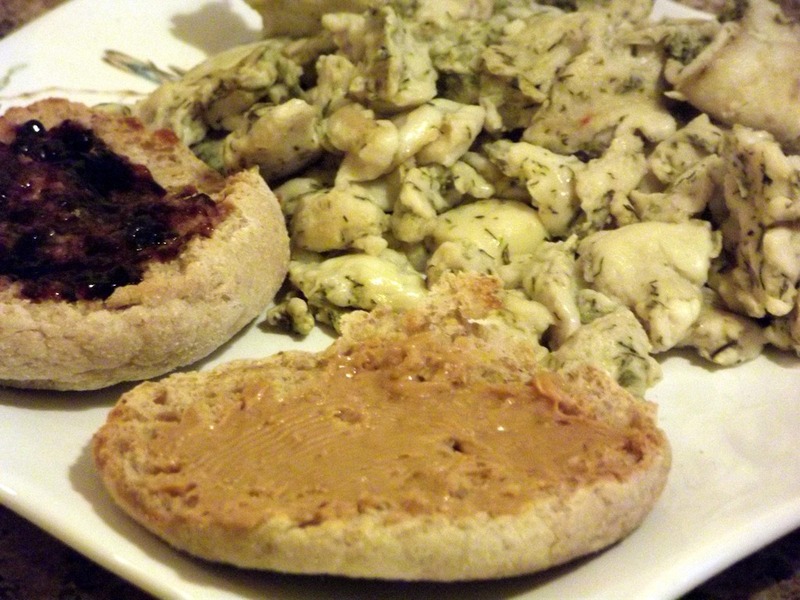 I try to make at least one or two big meals a week so that there’s a lot of leftovers for Eric’s lunches. I don’t mind making myself a salad or whathaveyou, but he would much rather throw something in the microwave and be good to go. 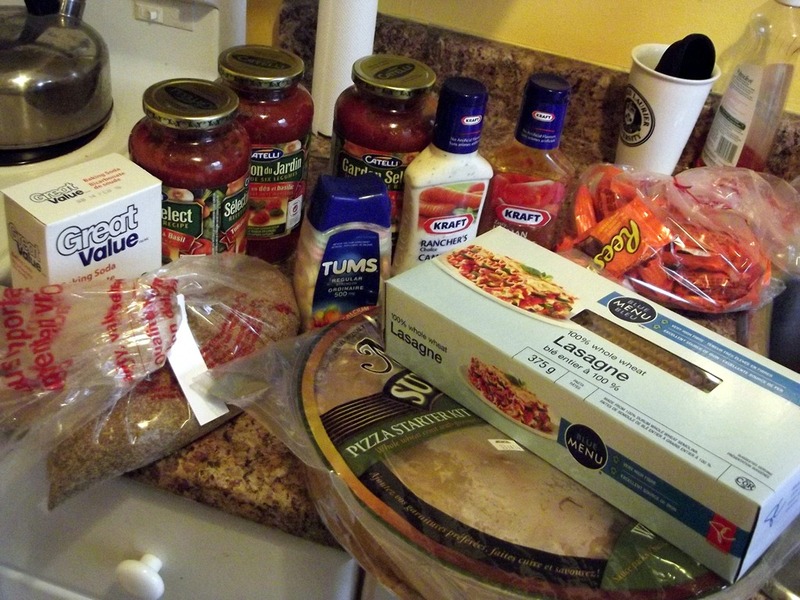 The pizza kits I picked up come with the crust and sauce, so I just needed to pick out the toppings to throw on top. 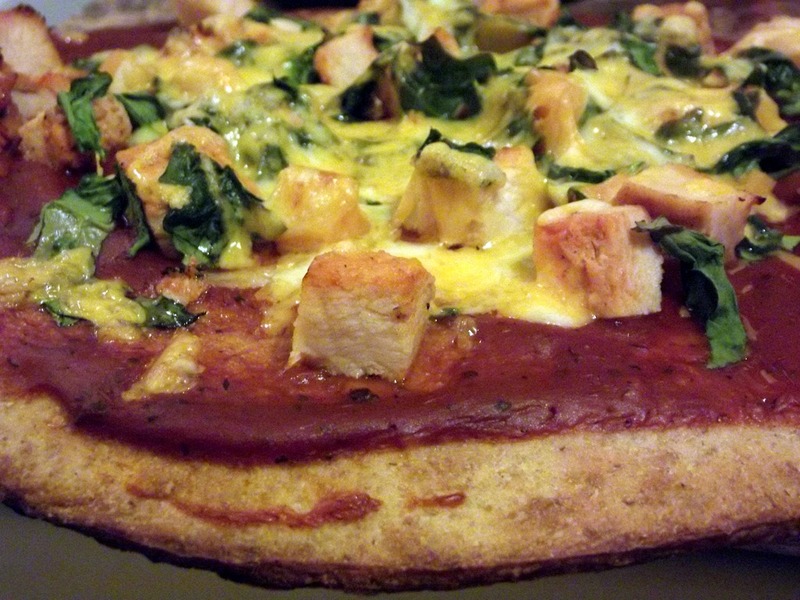 I went with chicken, bell pepper, green onion, spinach, and marble cheese. Ten minutes in the oven and good to go. 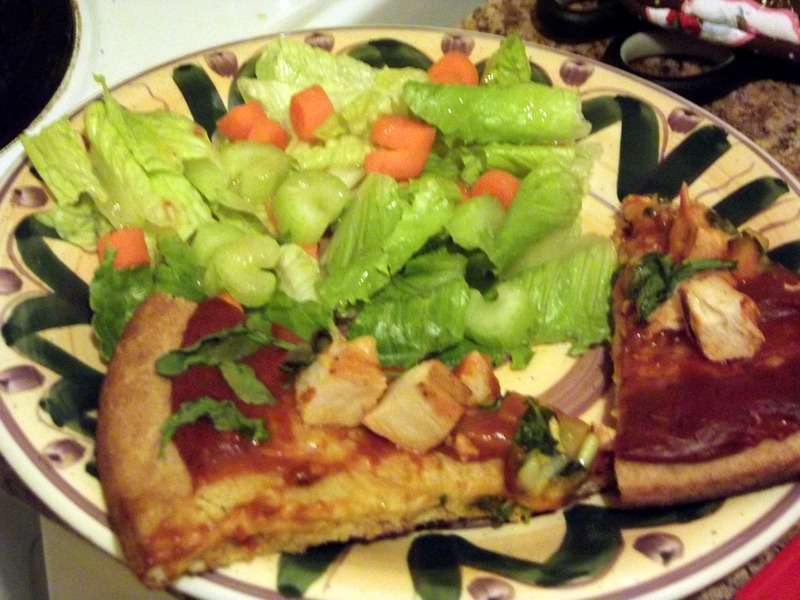 1/2 of the pizza with a simple salad of romaine, carrots, celery and Italian dressing. It made for an easy Sunday night dinner – which we ate while watching A Time to Kill – I hadn’t seen it before but I had read the book. I was impressed! Usually, I’m not a fan of books-to-movies (because the details are never how you pictured it in your head) but they actually did a great job. Side note: Matthew McConaughey does not age. That’s like 16 years apart, people. Insane. (And he totally had me tearing up at his speech). This last week was my week 5 of my Slim and Sculpt plan with This Fit Chick! This was the first week of phase 2, so I knew the intensity was going up. But, it still caught me off guard, Jesus, that was an intense week! The plan goes from 2 days pure lifting, 1 day lifting + circuit and 1 day intervals to 3 days lifting + circuits, 1 day lifting. So, a lot more cardio and a lot more time overall. After the circuit workout in the last phase, I was confident I could handle the circuit in phase 2. After completing it twice in week 5…ouch. Definitely painful. 1 full minute of squat jumps in the middle of a circuit is just not fair – but definitely effective! Drop sets are also introduced in this phase. I hadn’t had a lot of experience with them, but Carrie is nice enough to draw out exactly what’s involved. Yea – I did those today (writing this Sunday evening) and I KNOW I’m going to be experiencing some serious DOMS in the morning. A great week and I know I’m going to be seeing some awesome results! 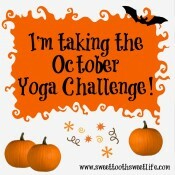 This last week was week 4 (and the final week) of my October Yoga Challenge with Courtney of Sweet Tooth, Sweet Life! So week 3, I was feeling a little disappointed in myself that I only got in one yoga workout out of my goal of two. Yea. Not one session last week. Not exactly ending the challenge with a bang, am I? 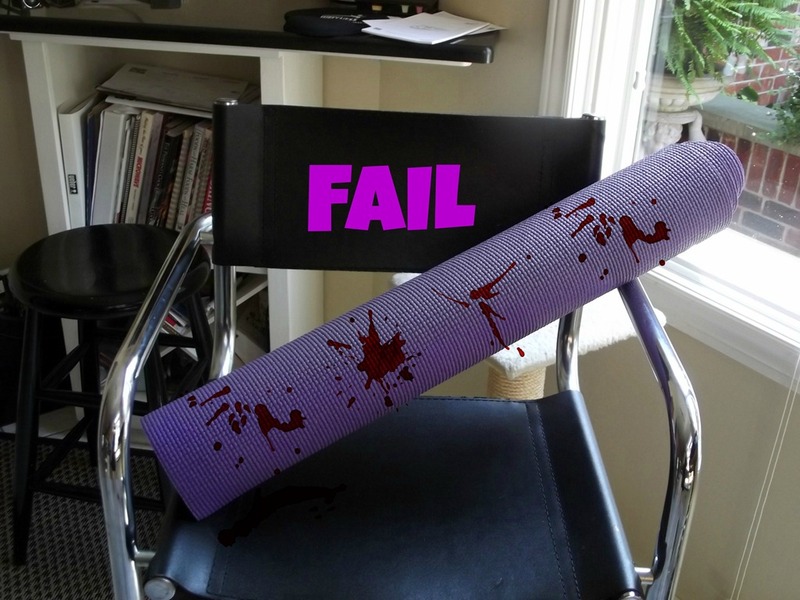 Between being busy with school, the increase in my regular workouts, and my birthday, yoga just did not happen. That’s ok – life gets in the way sometimes. Now that the challenge is over I don’t feel as pressured to squeeze it in – but I’ll still try once every week or two. I definitely need it to help with my flexibility, so I should be doing it sometimes, at least. 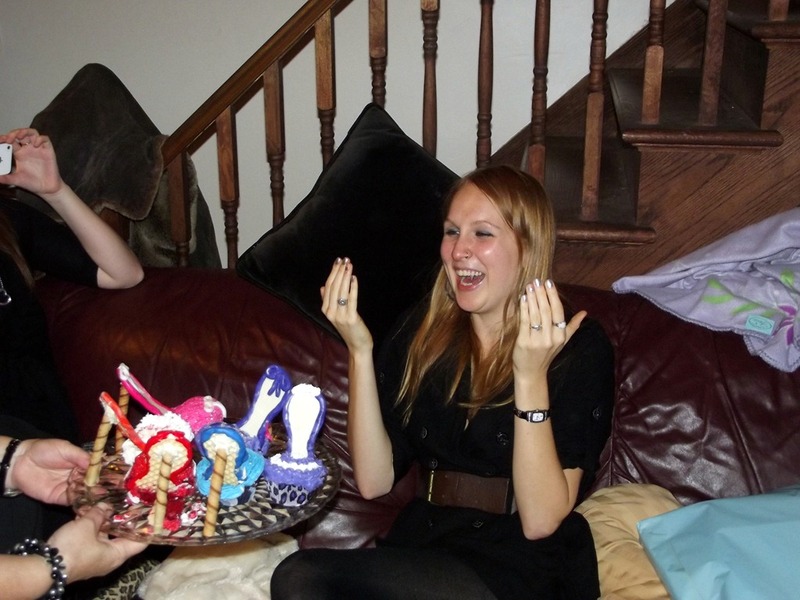 Oh, well – I still enjoyed the challenge – thanks Courtney! <— Any exciting meals planned for the week? <— Are you expecting a lot of trick or treaters this year? What candy did you buy/are planning on buying? Categories: Breakfast, Dinner, Fitness, Movies, Recap, Shopping, workout | Tags: A Time to Kill, Breakfast, dinner, groceries, Halloween candy, meal plan, movie, my yoga challenge, pizza, protein pancake, shopping, Slim n Sculpt, The Fit Chick, week 5, Workout, yoga | Permalink.